Imagine having a luxury van at your service to take you to picturesque places you only thought existed in movies and dreams. Imagine smelling the sweet scent of fresh Hawaiian lei with its soft petals dangling around your neck as you tour beautiful islands and historic sites that looked like they came straight out of a colorful picture book. Beautiful, isn’t it? Now that’s exactly what you’ll experience when you book Royal Hawaiian Limousine‘s Honolulu airport transportation and van services. As the leading provider of first-class tour and transportation services, Royal Hawaiian Limousine goes the extra mile in making guests feel special and comfortable while on board. RHL provides more than just hassle-free transportation service; it gives guests the feel and taste of the VIP life. You’ll feel the royal treatment immediately once you see our chauffeur waiting for you at the airport, welcoming you with a cheerful smile and a handful of fresh Hawaiian leis to place around your neck. After loading your things inside our spacious van, you can relax and rest in the comfort of our plush vehicle interior as our chauffeur drives you to your hotel. 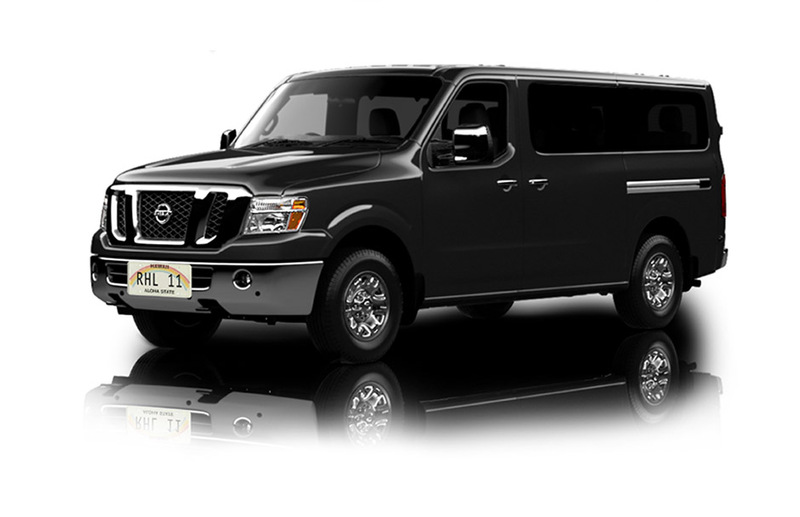 RHL offers various transfer and transportation service options: mini van service, full van service, luxury van service, and ultra luxury limousine van service. Whether you need a Honolulu airport transfer to Waikiki or Oahu transportation services, we have a high-end vehicle that’s ready to take you to your destination on time and hassle free. Our spacious vans have a large seating capacity, making them perfect means of transportation for group tours and families on vacation. Note: Every extra passenger will be charge only $10 per person for ride. Fresh Hawaiian lei will be only $10. Important Reminder: For any extra passenger extra fee will be only $15 one way or $20 round trip. Extra fresh Hawaiian lei will be $10 per lei.There will be no charge for all your bags, No hidden fee and no airline delay fee.